If you aren't an audiovisual professional, it is possible that your house recordings will have certain flaws and aspects that can be improved. 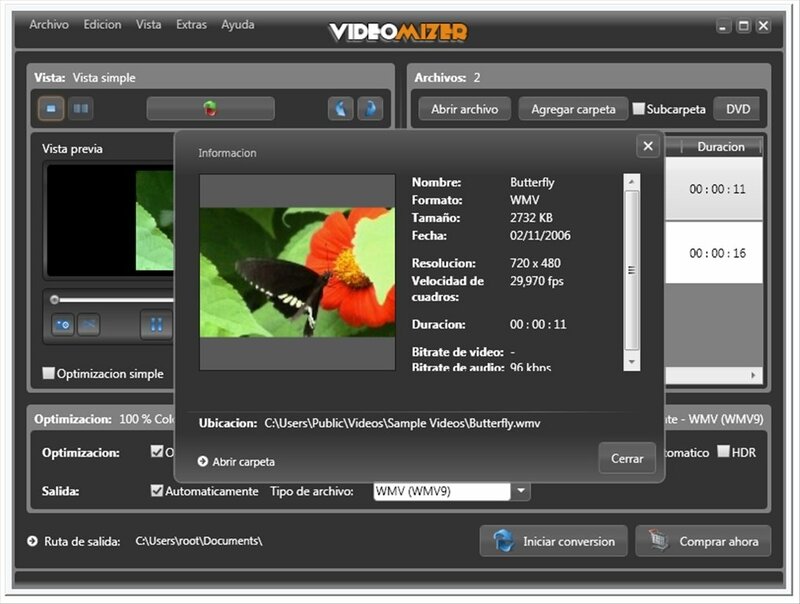 For this task you can use a simple application: Videomizer. You will be able to enhance the color of the images to obtain a more intense tone or even remove the mist from your recordings. Auto-color: if you enable this filter the application will adjust the brightness, saturation and contrast of the images. The result will be that you see the videos with more lively colors. You can adjust the percentage of the changes that you want to perform. HDR: activating this option Videomizer adds more light to the images, in such a way that shots that are too dark will gain light. Videomizer allows you to preview the results to be able to compare them with the original and decide which are the best settings. You can also crop the videos to select only the parts that you are most interested in. Furthermore, Videomizer is a converter with which you can change the format of the videos at the same time that you apply the filters. You only have to choose the format that you want and configure your features. Once you have all the settings chosen, you only have to start the conversion, and Videomizer will create a new improved video. Improve the quality of your videos considerably with Videomizer. The trial version can be used for 3 days or for 10 days after a free registry. The program updates to the latest version after the installation, therefore, you require an Internet connection.